Imperfect and unrefined barn tin cut into a Texas map outline. Oxidized looking paint and hangs using bailing wire. 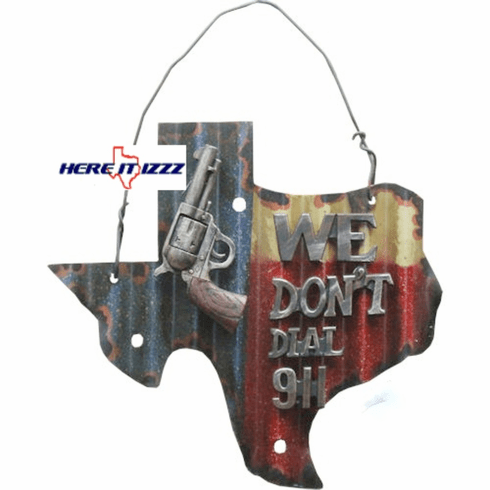 We don't dial 911 boldly spelled font and Pistol proudly posted.